CF-NWX at Downsview - CYZD, Ontario. CF-NWX at Toronto Island Airport - CYTZ. C-FNWX on beaching gear at Pelican Lake, Sioux Lookout. C-FNWX hauling a Lund boat as an external load. C-FNWX with her new look. C-FNWX on Kasabonika Lake, Ontario. • CF-NWX de Havilland Canada. Delivered 28-Mar-1962. Retained as a demonstrator. • CF-NWX Austin Airways Ltd., Timmins, ON. Regd Nov 1978. • CF-NWX Ignace Airways Ltd., Ignace, ON. Regd Dec-1980. Canx 12-May-1992. Accident: McKenzie Lake, ON.10-Oct-1987. See below for details. • CF-NWX Slate Falls Airways (1999) Inc., Sioux Lookout, ON. Regd 12-May-1992 Canx 07-May-2014. • C-FNWX 2320127 Ontario Inc., (Slate Falls Airways, Sioux Lookout, ON). Regd 07-May 2014. Canx 08-Apr-2016. Regd 05-Jul-2016. Power-plant: Over the winter of 2004 / 2005 converted to a Vazar turbine Otter, the conversion work being performed by Lakeland Aviation. Otter 412 was completed on 28 March 1962, registered CF-NWX, but was retained by DHC as a demonstrator aircraft, on amphibious floats. 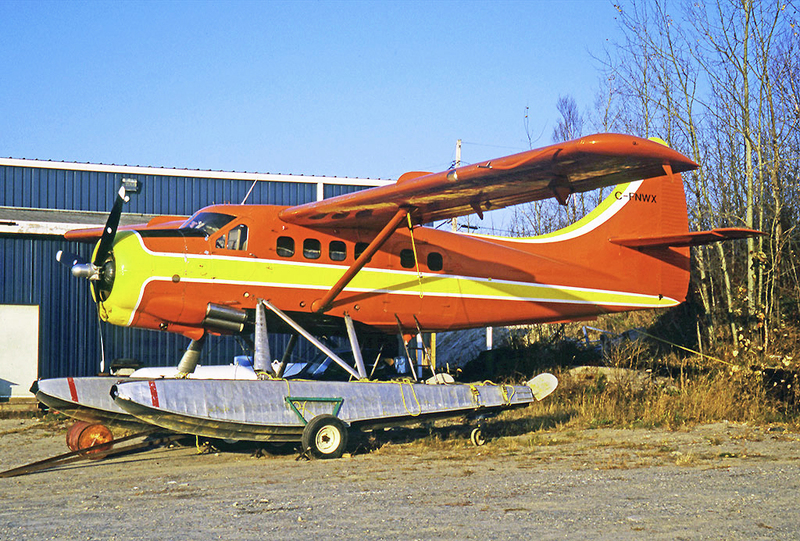 After the last Otters had been sold by 1965, NWX was used by DHC for test work. 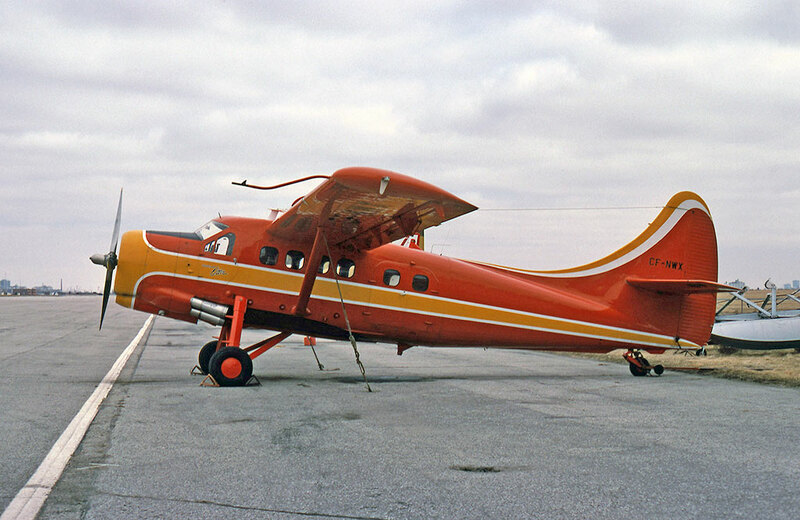 In April 1970 there was a proposed sale to the United States, for which marks N6225 were reserved on 14 April, but the sale did not materialise and by 10 June 1970 the Otter was re-registered CF-NWX. It remained in use by DHC as a company ‘hack’, used to fly company personnel to other airports in Ontario. It was flown by company test pilot George Neal. The last trip he recalled flying in NWX was to take a load of newly hatched fish to re-stock a lake in Québec, where senior people in DHC used to entertain customers. Its sixteen years use by DHC came to an end when it was sold in November 1978. 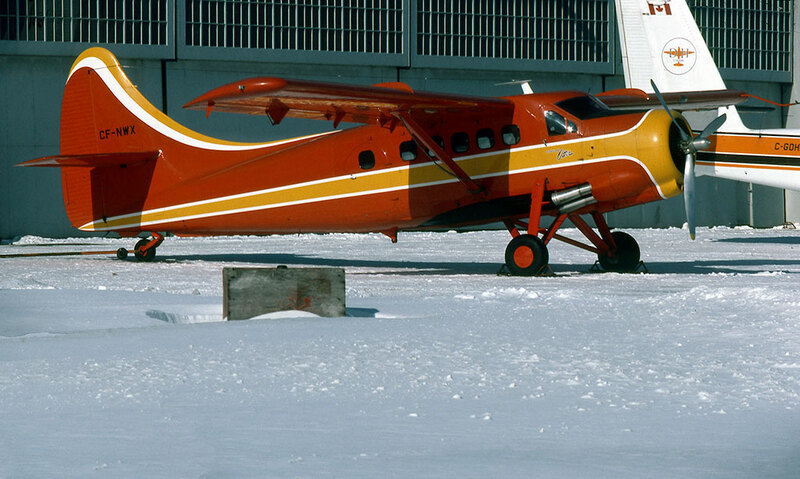 The buyer of the Otter was Austin Airways Ltd., of Timmins, Ontario to whom it was registered on 27 November 1978. It did not remain too long with the company, being sold to Ignace Airways Ltd., of Ignace, Ontario to whom it was registered in December 1980. 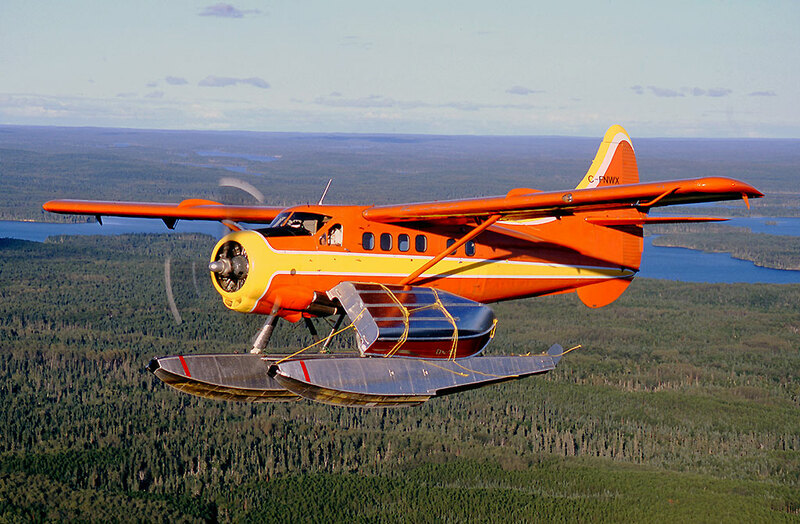 With Ignace it replaced a Norseman and initially flew alongside two Beavers and two Cessna 185s. It continued to fly for Ignace Airways, serving the Ontario bush country, until a crash at McKenzie Lake, Ontario on 10 October 1987. The purpose of the flight that day was for the captain to check out the co-pilot on the float-equipped Otter. The aircraft, with the two pilots, one passenger and a cargo of sawdust, was near the maximum take-off weight. It took off for a VFR flight to nearby South Smoothrock Lake. The take-off run and lift off appeared normal. The pilot selected climb flap, reduced engine power and turned to fly along a valley leading away from the lake. The aircraft was at an altitude of 75 to 100 feet and approaching trees near the edge of the lake when it began to lose altitude. The captain applied power but this did not arrest the descent and the Otter struck the trees and crashed one quarter of a mile from the shoreline. An accumulation of hoar frost on the wing surfaces and downdrafts common in the area led to the aircraft’s descent into the trees. That accident ended the career of NWX with Ignace Airways. The wreck was retrieved from the crash site and trucked to Kuby’s Aircraft at Kenora, Ontario for a slow rebuild. This had been completed by May 1992 and the registration of the Otter to Ignace Airways was formally cancelled on 12 May 1992, on which day it was registered to its new owner, Slate Falls Airways (1987) Ltd., based at Sioux Lookout, Ontario. 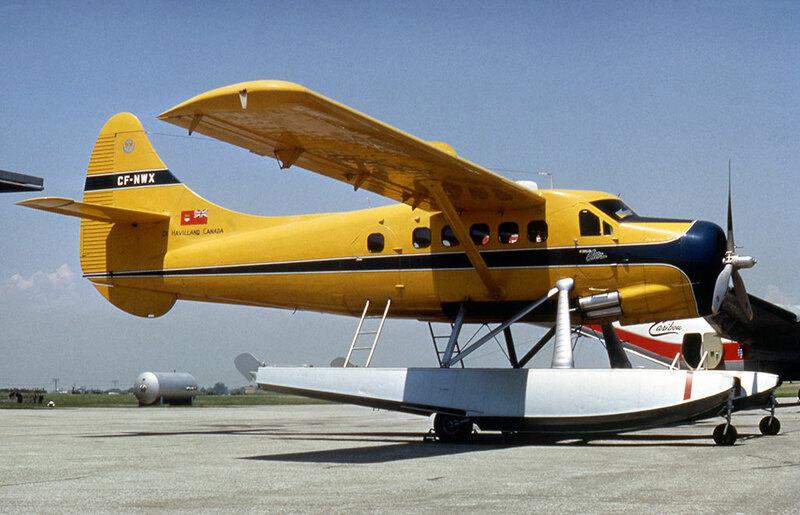 With Slate Falls it flew alongside Otter C-FITS (90), serving the Ontario bush country. In August 1999 the company was re-constituted as Slate Falls Airways (1999) Ltd, the Otters continuing to fly from the Sioux Lookout base. 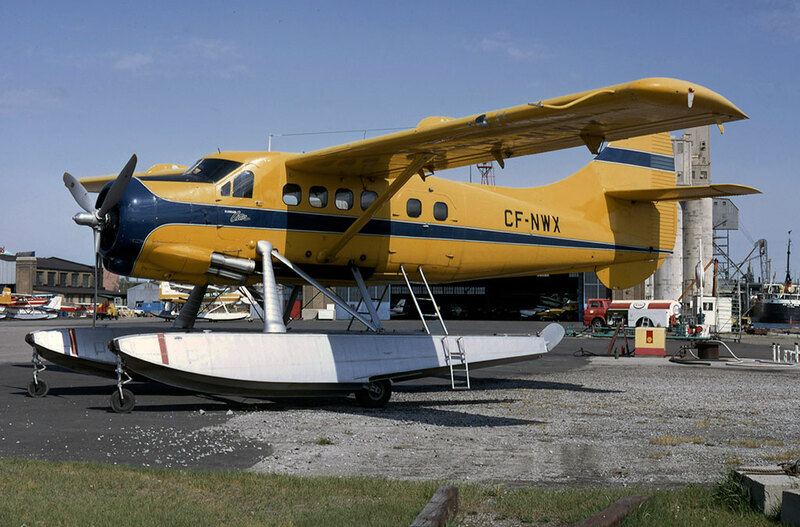 On 18 October 2004, NWX arrived at Fort Frances, Ontario where over the winter of 2004 / 2005 it underwent conversion to a Vazar DHC-3T turbine Otter, the work being performed by Lakeland Aviation. 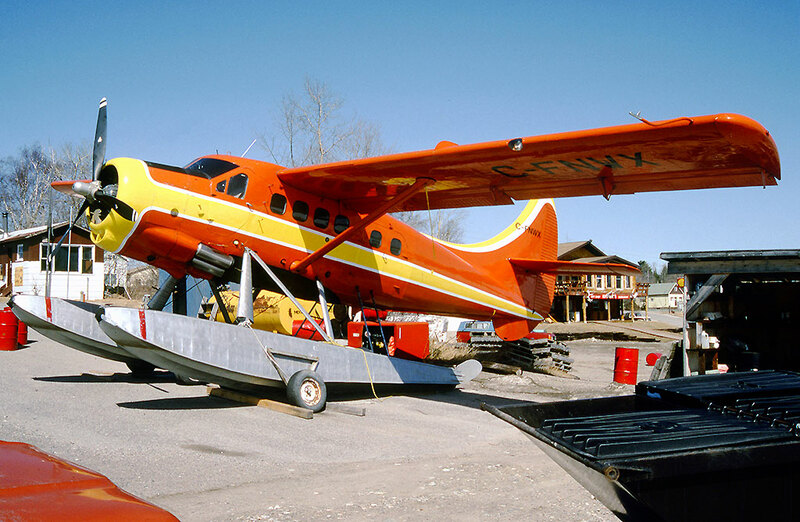 It arrived back at Sioux Lookout in May 2005 to continue its career with Slate Falls Airways as a turbine Otter. In October 2007 it was joined by Vazar turbine Otter C-FCZP (69) and both Otters would together serve the company in the years that followed. 27 August 2005. Cessna 172 N736HY was departing on a VFR flight from Sioux Lookout water aerodrome to Pickle Lake Airport. 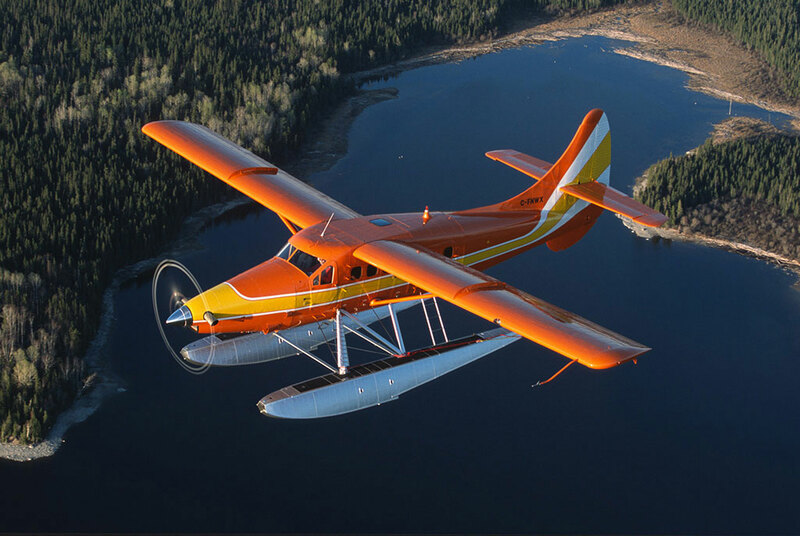 Sioux Lookout FSS was advised by the pilot of Otter NWX, who was on final to Sioux Lookout water aerodrome, that an unknown aircraft had just departed the water aerodrome. Two minutes later the pilot of N736HY called advising intentions to transit the zone to the northeast. The pilot of the Cessna cited unfamiliarity with local regulations as a reason for failing to advise of his intentions in a timely manner and for causing an infraction of the rules. 12 April 2009. Slate Falls Airways Cessna T210M C-GHEG was on a VFR flight from Sioux Lookout to Cat Lake, Ontario. The engine was running rough and losing power and the pilot of the Cessna diverted back towards Sioux Lookout but at about 16 miles north of the airport decided to land on the surface of a frozen lake. Swearingen SW3 C-GKPX had visual contact with the Cessna and confirmed his landing safely on the ice and that all five passengers and the pilot had walked off the downed Cessna. 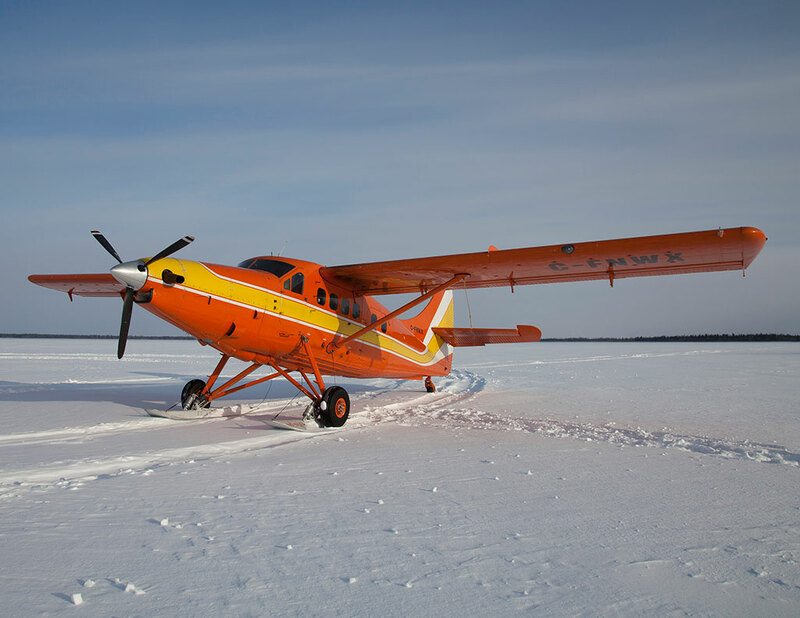 Otter NWX on skis was dispatched to the site to collect the occupants of the Cessna and fly them back to Sioux Lookout. In a company restructuring, on 7 May 2014 Otter C-FNWX was registered to 230127 Ontario Inc., trading as Slate Falls Airways. 11 March 2016. Otter NWX was landing at Cat Lake on a flight from its base at Sioux Lookout. During the landing roll in significant crosswind conditions, the right main wheel and tail wheel encountered icy patches on the runway. The pilot could not maintain directional control. The Otter yawed to the left and collided at low speed with a snow bank at the edge of the runway. There was minor damage to the right aft fuselage, which was repaired. 29 June 2017. Otter NWX and C-GWOX a Beech 1900D of Wasaya Airways on flight WSG729 from Sachigo Lake to Sioux Lookout. 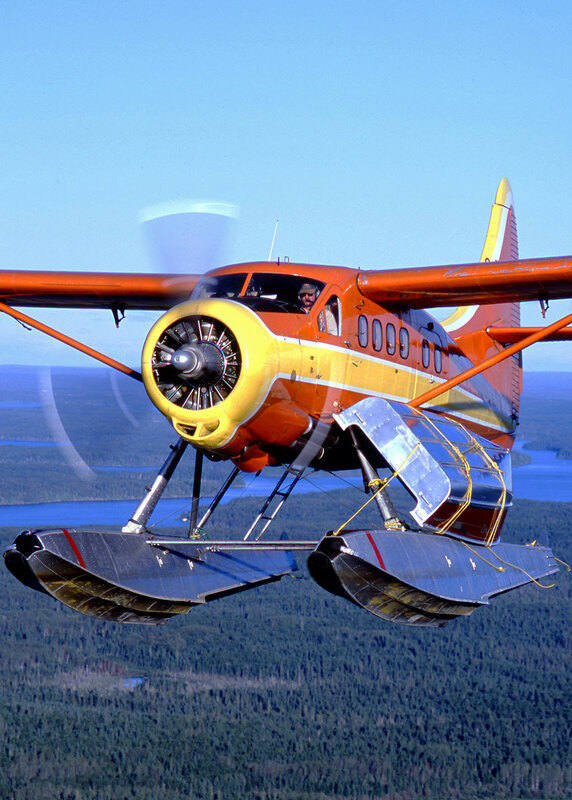 The Otter was en route to Sioux Lookout water aerodrome and advised the FSS that the Beech 1900 had passed 150 feet above. 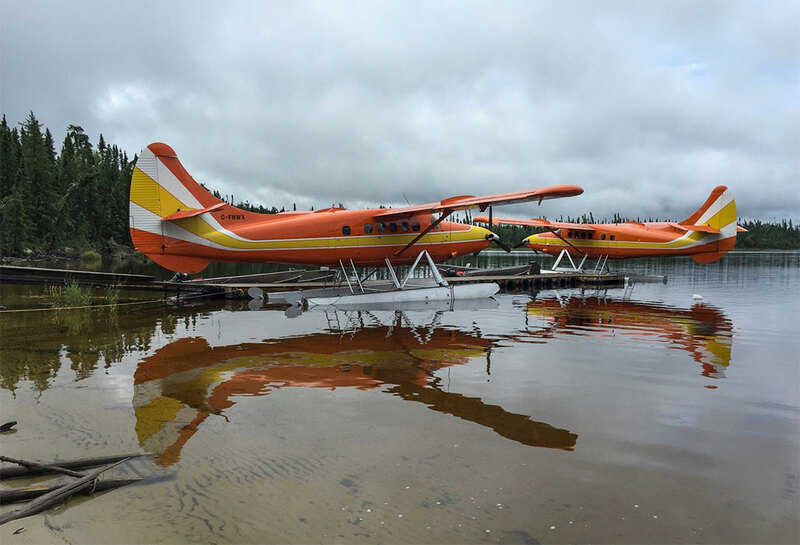 For summer 2018 turbine Otters NWX and CZP continued in service with Slate Falls Airways.